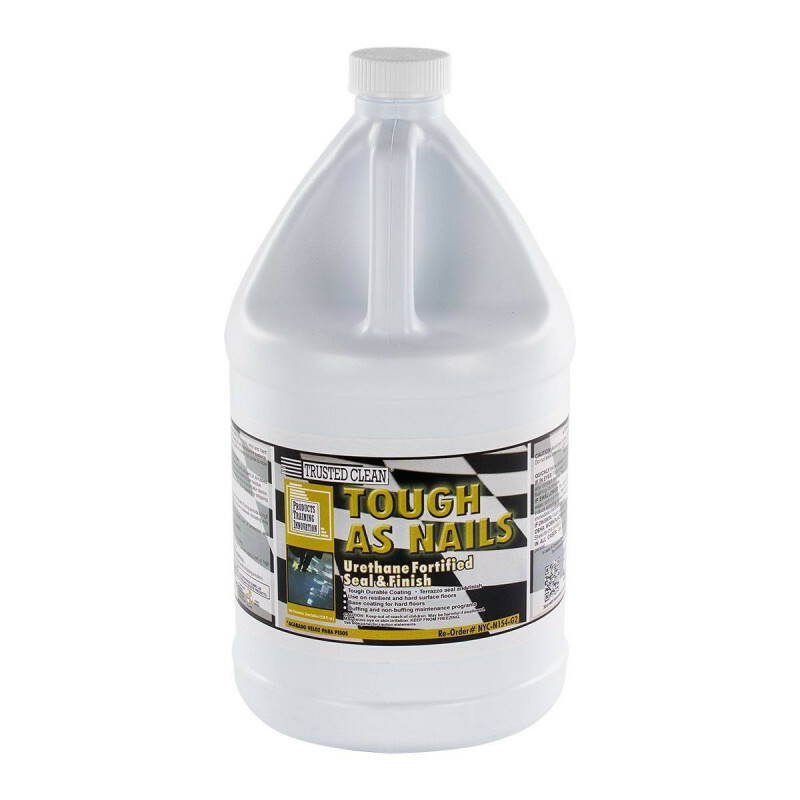 Tough as Nails is an extremely durable urethane fortified seal and finish coating for terrazzo, vinyl and hard floors. 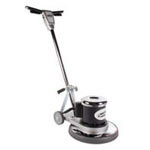 Excellent sealer and base for all maintenance with a floor buffing or burnishing program. Use on both hard and resilient floors. Most floors will require 4 coats for the most durable finish. Clear, high gloss appearance, durable performance and high mark resistance. Easy to apply with mop or applicator. Dries quickly for rapid recoating. Low odor formulation. For other options, including brilliant high gloss waxes, please take a look at our complete line of commercial grade floor finishes. Bought this product to and used in my garage floor which was treated with an Armorpoxy, a 2-part epoxy about two years ago. After all this time, the garage floor had lost its sealer and shiny look. After a thorough cleaning, I applied three coats of "Tough as Nails" and the results were extraordinary. Not only the floor look like the day after the epoxy treatment was applied, but it's holding out good to vehicle and pedestrian traffic. It only took half a gallon to apply three coats to a two car garage. I'm very impress with the results and will recommend this product to anybody. The product states "not to be used on painted surfaces", so I don't know how it will work for a regular paint painted floors, Epoxy cover is no regular paint, and leaves a thick hard layer on the floor that resembles vinyl floor.